A provocative self-study by LaToya Hobbs from the Max Gallery exhibit Dissolution and Transformation. Anyone who is traveling through Baltimore this weekend along North Charles St. or Mt. Royal Ave. will quickly discover a series of detours around the campus of MICA and the Station North Arts & Entertainment District. These detours, thankfully, have nothing to do with the city’s crumbling infrastructure but rather mark the beginning of Charm City’s yearly summer salute to the arts: Artscape. Artscape is America’s largest free arts festival. The carnivalesque event, which draws an estimated 350,000 attendees, features everything from dance, fine artists, film, photography and fashion designs to visual art exhibits, outdoor sculpture, live concerts, opera, theater, experimental music and children’s entertainers. Now in its 33rd year, Artscape’s economic impact on Baltimore City is a whopping $25.97 million dollars. In recent years, Artscape has expanded to include a wide array of “off-site” venues; some well outside the MICA campus and the Station North Arts District. 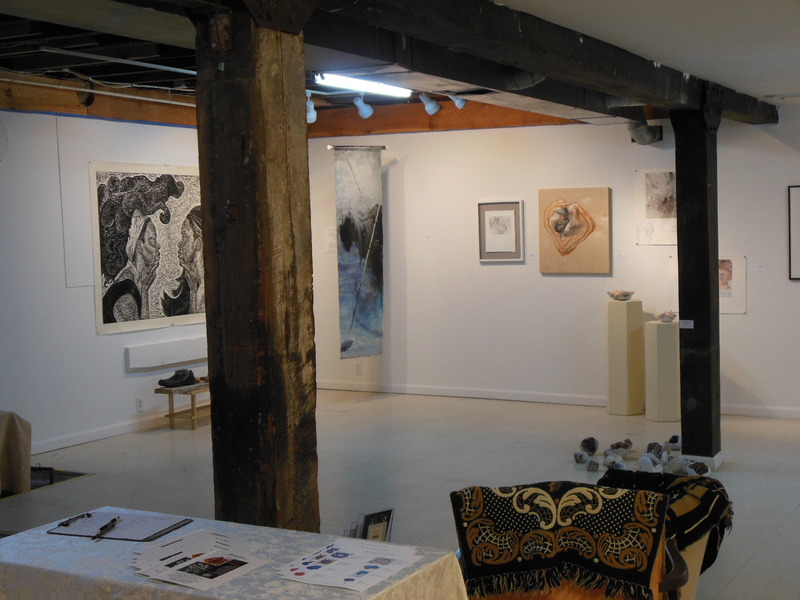 One such venue, which sits tucked in an alley just east of Patterson Park, is the Max Gallery in Butcher’s Hill. 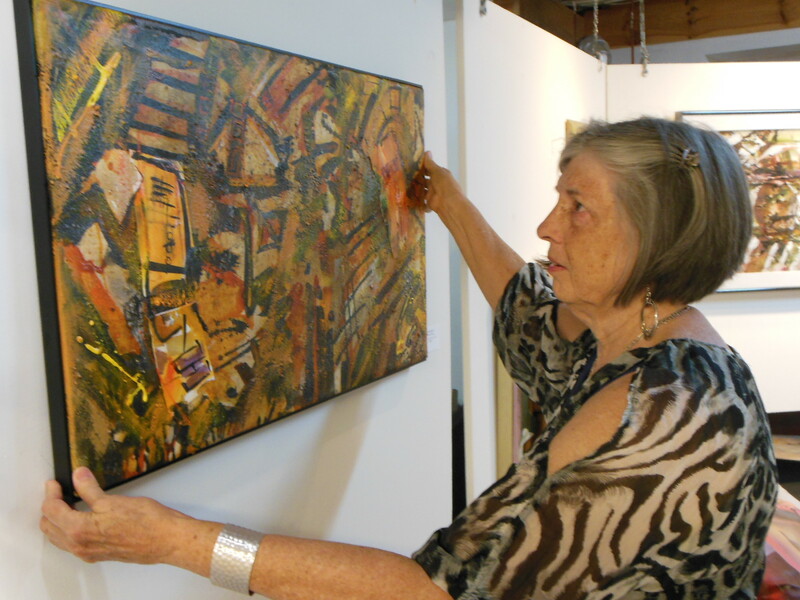 Maxine Taylor founded the gallery 17 years ago in an old arabber stable at 126 North Madeira St. When Taylor purchased the structure, it needed a complete overhaul to make it livable. This included furnishing such essentials as a kitchen and bathroom. All of the extra windows were closed up to make the quaint old stable secure. The stairway was widened and recently an extra storage room was built. Adding a driveway with a carport and a stacked stone wall created an inviting entryway for the nascent gallery. “I put all the construction into this building so that I could live here and work here,” said Taylor. Though completely updated to serve the needs of both resident artist and exhibition space, the building still has some of the vestiges of its erstwhile equine past. In the first floor gallery, old barn-style post and beam construction is evident. And on the second floor, an extended steel I-beam – which once acted as a block and tackle support – remains in the former hayloft. Once Taylor retired two years ago, she decided to put all of her energy into the gallery; publicizing her own work while also showcasing the artistry of others. “You’re competing with so many other people; especially here in Baltimore,” Taylor rightly observed. There is also a degree of competition for the services of energetic art professionals to man the gallery on a regular basis. Taylor said she would like to partner with MICA’s Exhibition Development Seminar to bridge that gap while offering its students some real world experience. Supplying a visitor friendly space is a key element in enticing potential buyers, but ultimately, a gallery’s success depends on the excitement created by the art it displays. Taylor is confident that the current exhibit, entitled Dissolution and Transformation, is a clear winner. This reporter wondered how the art – and the artists – were selected? Along with work by three curators, the exhibit features the creations of a dozen other artists including Megin Diamond, Daniel Herman, Michelle Dickson and Artemis Herber. LaToya Hobbs’ installations challenge African Americans to take a closer look at both external and internal negative stereotypes. And Ruth Pettus’ “Shoes” offer not only evocative imagery, but each piece has a history; offering a palpable peek at the original wearer’s past. Megin Diamond was on hand the day this reporter dropped by the gallery. Diamond said she is currently undergoing an artistic transition, moving from making jewelry and silver smithing to creating art pieces with everyday objects. One piece for example, “Pearly Whites”, was crafted using vintage bicycle parts. And surrounded by neighbors who love to drop by for the art and a glass of wine on the gallery deck. In that spirit, Taylor and her fellow artists will be sharing champagne with all who stop by the gallery this weekend. 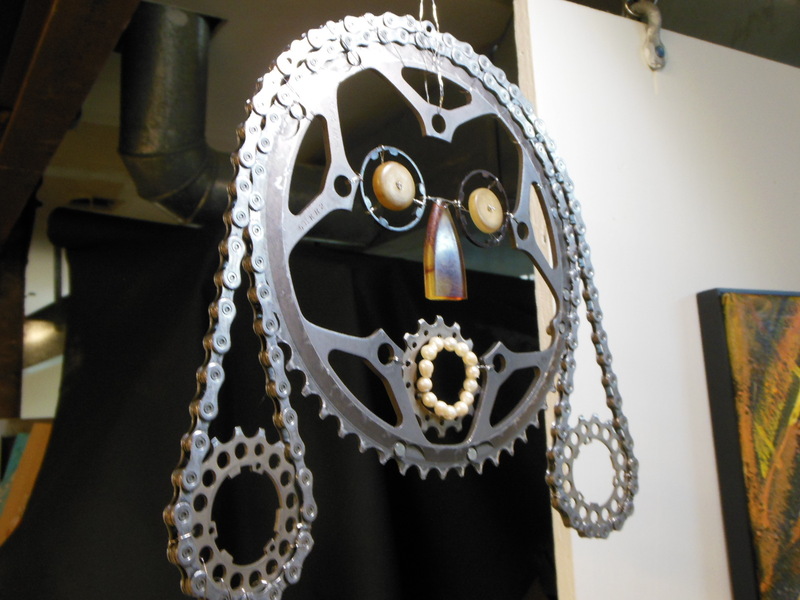 Artscape runs this weekend Friday, July 18 – Sunday, July 20. Hours are Friday and Saturday: 11am-9pm, Sunday: 11am-8pm. This handicapped accessible event is free and open to the public. The Max Gallery is located at 126 N. Madeira St. in Butcher’s Hill. More information about the gallery may be found by visiting Maxine Taylor online. Brava, talented ladies!!! It is always a treat to visit this wonderful gallery in fabulous Butchers Hill. We are all so proud of you!!! Thanks for an interesting and insightful piece about my favorite subject, Baltimore’s art scene!